It can be hard to justify paying for software that handles a task that can, otherwise, be done for free--even when the software makes the process easier. That's why I was intrigued by DriverMax, one of the few free applications that helps you identify and update aging drivers. It works as advertised, but pales in comparison to its free rival SlimDrivers. 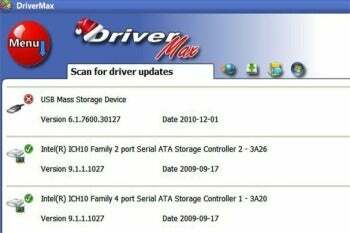 DriverMax's scan results include both outdated and current drivers, differentiated only by a small green or red icon, which can be confusing. Both DriverMax and SlimDrivers stand out among driver updating utilities because of their non-existent price tags: These are free applications that not only scan for outdated drivers, but also allow you to download and apply the updates, too. The free versions of rivals Perfect Updater, DriverScanner, and Driver Reviver driver scans, only; to download updates, you have to pay $30 for the full versions of the software. But once you move beyond the price, DriverMax lags behind SlimDrivers. Where that product features a slick interface and an almost-seamless update process, DriverMax stumbles. Its interface is usable, certainly, but not as clean as it could be. I also dislike how its scan results include both outdated and updated drivers, and differentiates between the two with only a small icon. I continually found myself attempting to update drivers that were actually current, only to be told that no more current drivers were available. And when I did update an outdate driver, the process was a bit convoluted. DriverMax informs you that, as a free user, you will be directed to a page on the DriverMax Web site, where you can choose between the recommended driver or another one. Only PRO users ($29 per year) can download drivers from within the application. Being bumped to a Website to download the drivers is annoying, but it's less so than the message I saw every time I landed there: "You are a free user and the DriverMax servers are currently overloaded. Since you are not a PRO user, you have to wait." The wait was usually no longer than 20 seconds, but it felt unnecessary. Add in the fact that DriverMax's free version only allows you to download two driver updates per day, and you'll realize that this application quickly makes the updating process a very time consuming project. DriverMax does create a system restore point for you before installing drivers, which is a nice touch. But it's not enough to convince me to use this app. In the time I spent waiting for the DriverMax servers to handle my download requests, I switched my attention to SlimDrivers instead. That's the free app I'll be using to keep my drivers current.